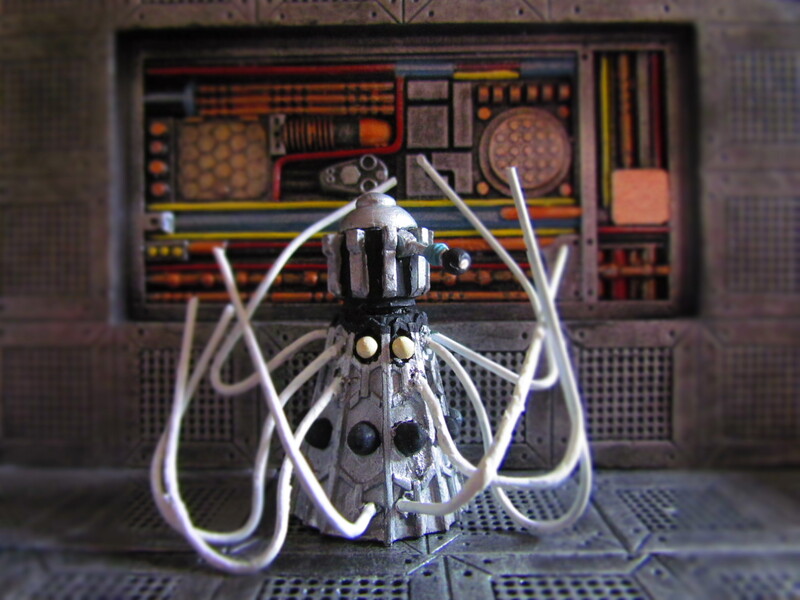 The first version Dalek Emperor and when its wired in, the best looking. This giant made a solitary appearance in Season 4’s Story LL “The Evil of The Daleks” where it was destroyed signifying the end of the Daleks…(ed. yeah right pull the other one). Sadly this is one of those junked stories so unless someone turns up some missing film reels its unlikely we’ll ever get to see more than the few surviving cini-film and trim cuts that are left. 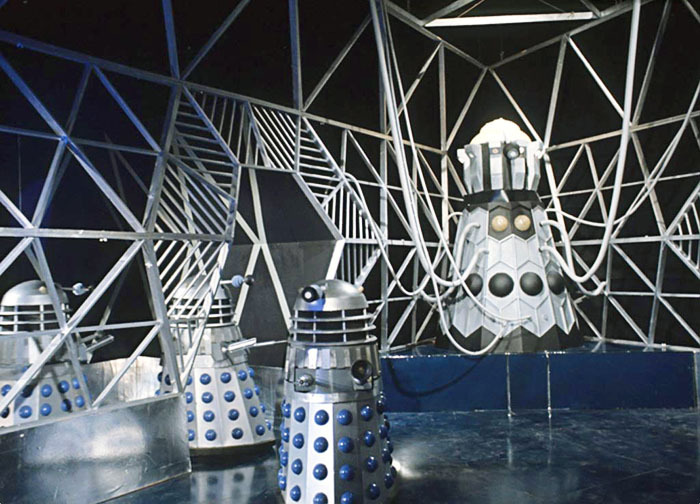 Apart from the TV21 and Dalek Chronicles comics where it appeared regularly in a gold scheme with a regular body but an enormous oversized bulbous head it didn’t make another appearance until the 1988 Remembrance story in the guise of essentially a giant roll-on deodorant hiding Davros inside. All a bit odd and unnecessary if you ask me and a shame considering the excellent freakish Special Weapons Dalek debuted in the same story.